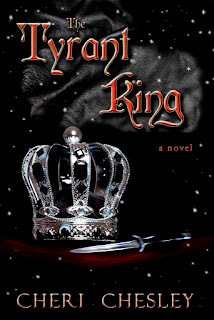 Now, I need to let you know about the TWO contests running in conjunction with my blog tour for The Tyrant King. This particular contest is really exciting to me, because I simply love blog tours. It's a great way to meet new readers and writers who also happen to blog. If you recall, we originally planned to do a joint blog tour with my sis-in-law, MEL CHESLEY, to launch my 3rd book and her very 1st book. Unfortunately we've had to put the tour off due to delays and now Mel has graciously demanded I go ahead and do my tour. I know, someday, we will have books actually coming out at the SAME time so we can enjoy the fun of a joint tour. Blog tour participators only--these are the ones who work with Mel to set up a date to talk about or review my book on their blog (or interview me)--can enter to win a $50 Amazon gift card!! To do so, they simply post on their blog on their scheduled day, run over to The Tyrant King's AMAZON PAGE, click the "like" button, and then email me at Cheriwrites AT yahoo DOT com to let me know they've done it. That's it. Then, at the end of the tour, I will pick the winner and send them their $50 Amazon gift card. Awesome, right? Because they are awesome. Now, don't think I'm forgetting fans and readers by not having a contest for the blog reader/commentors. (which, apparently, isn't a word lol) The contest related to the actual blog tour is similar but separate. *Note--I have had some people tell me they can't find the "like" button on the Amazon page. If you've never done it before, then it can be rather tricky to locate. I had to have someone show me the first time I ever "liked" a product's Amazon page. It's located just to the right of the picture of The Tyrant King's cover, under the large title and on the same line as the stars and number of reviews. Someone correct me if I am wrong, but I think the button itself is gray if you haven't "liked' the page yet, and orange if you have. To get everyone started, JA Bennett has already posted about TTK on her BLOG PAGE. Go check it out. She's wonderful and I love her blog. Enter to win! It's going to be awesome! 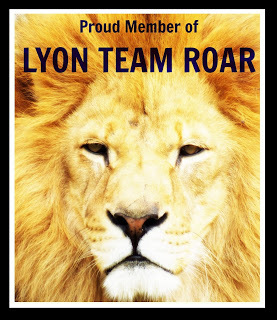 Currently we have blog posts through Dec 14th, but, if you want to participate, contact MEL and get on our list. :) If we end up extending the contest (and blog tour) deadline, I will let you know! This is my daughter. No, she doesn't really look much like this anymore. This pic is at least 3 yrs old, but goodness, she had the most epic bedhead and it's one of my favorite pics. I figure I have at least another 3 yrs before she starts really freaking out that I show this to people. Miss K Rose obliged my by reaching into my bag filled with little papers with all your names on them and pulling out the winning 3. Lastly, before the school bus arrived to sweep her away, my daughter pulled the name for 3rd prize--a copy of The Tyrant King e-book for you and one to give as a gift. The winner is LISA SWINTON! Congratulations! Incidentally, and likely of no interest to anyone but me, I numbered each contestant's entries before putting them in the bag. Carol's 6th entry was the winner; Holly's 8th, and Lisa's 1st. I just thought that was cool. Again, congrats to the winners and A BIG THANK YOU to everyone who entered!! Welcome to the “Spread the Word” Holiday Book Contest! Open Now (Nov 13) through November 19th! This contest kicks off my BLOG TOUR. I will post details of the separate blog tour contest on Tuesday, November 27th! 2nd prize includes a copy of The Tyrant King, an e-book copy to give as a gift, the Christmas Anthology, a $15 Amazon gift card, and a nice red throw to curl up with while you read. 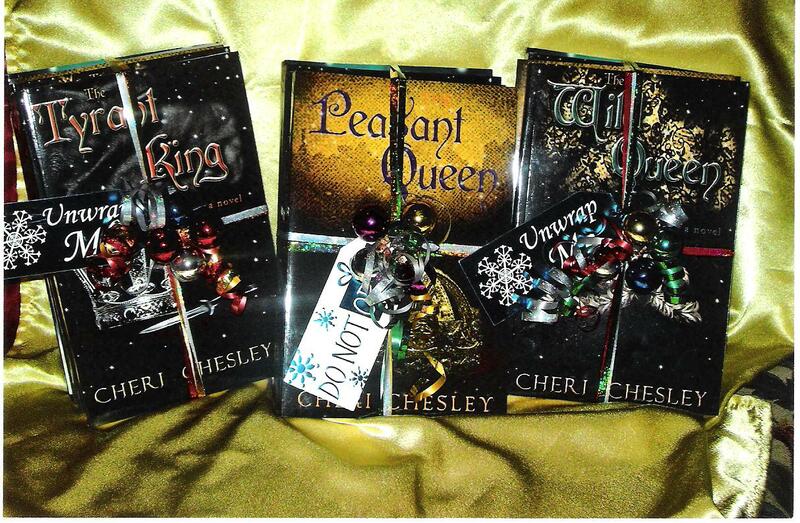 3rd prize is a copy of The Tyrant King e-book for you and one to give as a gift. Pretty sweet, huh? Now, how do you enter? Since the purpose of this contest is to literally “spread the word,” credited entries will be designed to do just that. 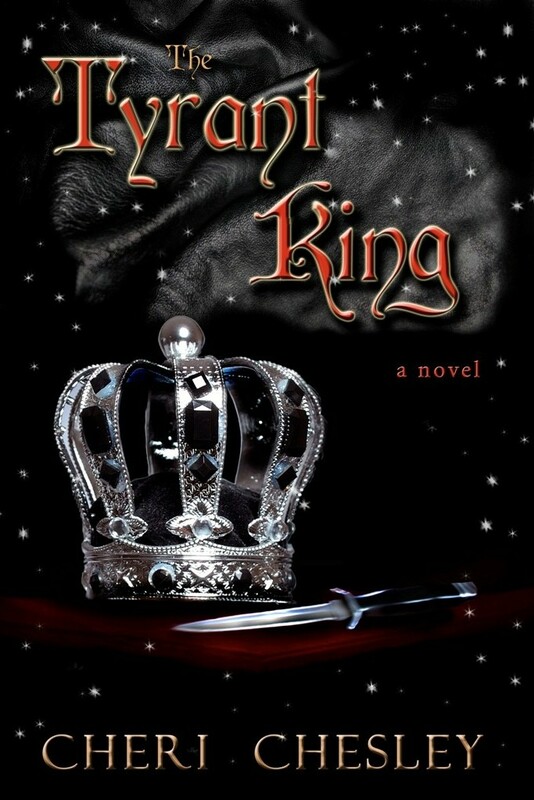 I’d love to see my reviews and rankings numbers for The Tyrant King rise on Amazon.com. *Important* Participants will need to keep track of their entries and then email the total to me for the drawings. My email is Cheriwrites AT yahoo DOT com. Some of these things you can do only once, such as liking the pages on Amazon or leaving a review, but the other things you can do as many times as you want while the contest runs (November 13-19th). 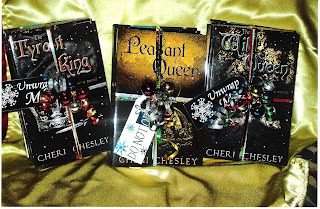 Then, before midnight on Nov 19th email me at Cheriwrites AT yahoo DOT com with your total number of entries. I will use my fabulous and completely random in house system to pick the winners (we put all your names and entries in a hat and my kids do the picking) and post the results on THIS blog Tuesday, November 20th. All gifts will be mailed by that Friday so they are sure to arrive well before Christmas. Thanks in advance to all who participate. It’s going to be fun!! You know the question. I have the answer. But rather than giving you the answer, I'm going to let you figure it out yourself. Take this scenario: Let's say all the books on, oh, I dunno, Amazon, for instance, are the forest. And The Tyrant King is the falling tree. Figured it out yet? I think you have. Here's my second question: How does an author increase book sales if NO ONE KNOWS SHE WROTE A BOOK? Now, I'm not trying to sound ungrateful. I know you know I wrote and published a book. And I love you. And we do have a blog tour semi-scheduled when my sis in law gets her book launched. But, in the mean time, I need to feel some love. And I want to dish some out in return. That's why, right here and now, I'm announcing my "Spread the Word" Holiday Book Contest! And you're eligible. So are ALL your friends! All contest entries are going to be focused on getting the word out that The Tyrant King is published, out there, and ready for readers. Facebook posts, blog posts, Twitter, heck if you can Pin it then you can get credit for it! The winner of my contest will make out like a bandit. 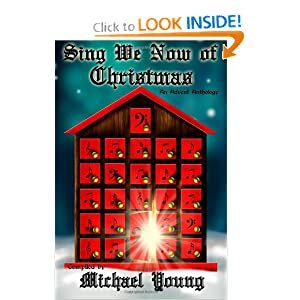 Not only will they win a set of my three published novels, but they will also win a copy of Sing We Now of Christmas: An Advent Anthology--and copies to give as gifts to TWO of their friends! Not only that, but I'm throwing in a lush fleece throw and a $25 Amazon gift card to help them with their Christmas shopping (or buy something for themselves, I don't judge ;)). Sound good? Because the second prize is a $15 gift card and a fuzzy red throw to cozy up with while they read their own copy of The Tyrant King. So even if you have the book already, or my other books, you can still enter the contest and if you win then you have gifts to give. Lots of them! Check back next week for the official opening of the contest. It will run Tues November 13th through Mon November 19th, with the winner announced on Tuesday November 20th.